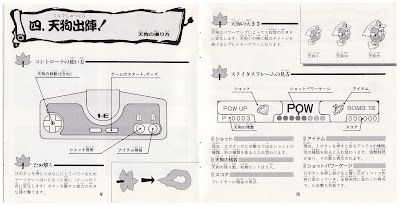 There's just something about a Taito-made PC Engine instruction manual. 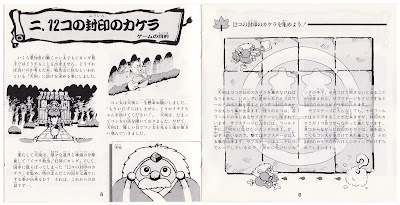 And I'm not just talking about the colorful illustrations that nearly always serve as their covers, like they do in the case of Parasol Stars or the shmup that serves as the focus of this post. How can a handful of black-and-white spreads be so appealing? The opening salvo in the Hana Taaka Daka!? manual (see below) should go a long way toward answering that burning question. Still not convinced? Keep reading--and scrolling. Like almost all of Taito's PC Engine instruction manuals (the above-mentioned Parasol Stars and the company's Rainbow Islands CD-ROM2 port are noteworthy exceptions), the one made for Hana Taaka Daka!? is crammed full of glorious, color-free art. Actually, simply calling what appears throughout this particular pamphlet "art" is kind of selling it short, if you ask me. 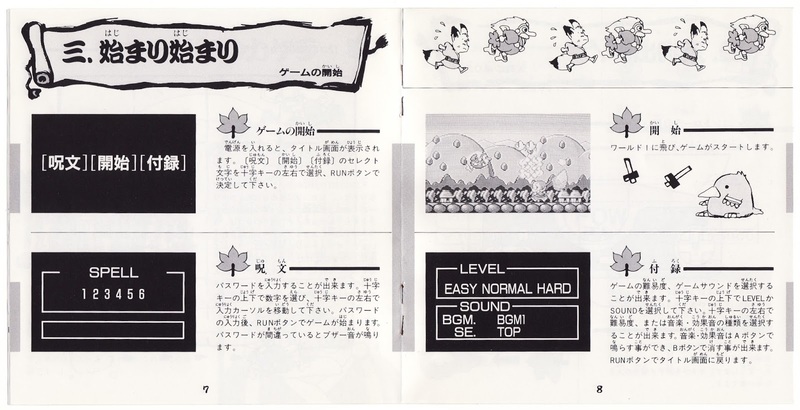 Just look at the sample pages above and below. 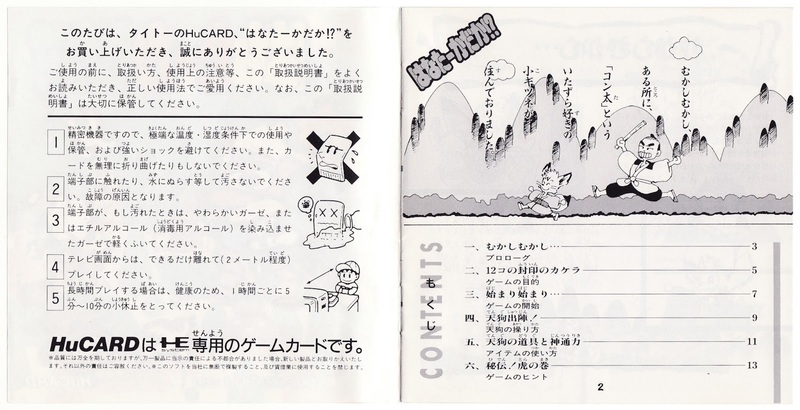 The imagery on offer here is a lot more fun and interesting than the boring, approved-by-committee concoctions that fill most other game manuals--especially modern ones. Of course, there's more to this mini Hana Taaka Daka!? 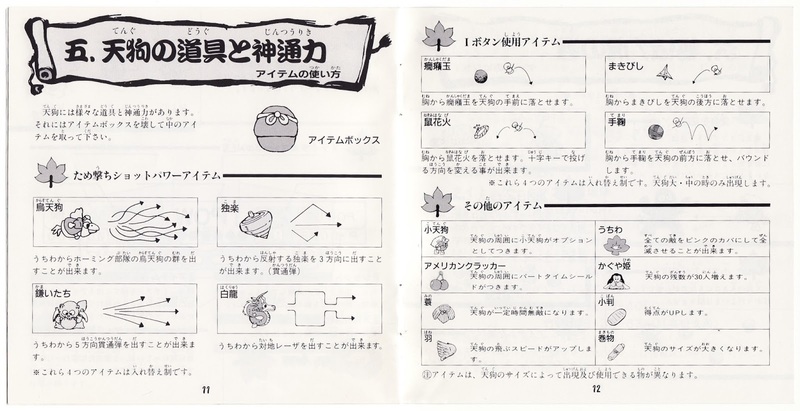 how-to guide than fabulous, manga-inspired visuals. 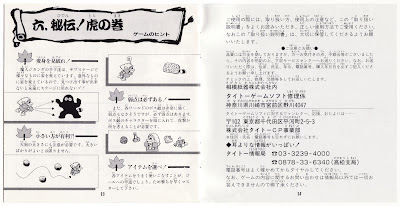 There's also a bunch of information about the game's story, characters, modes, items and enemies. 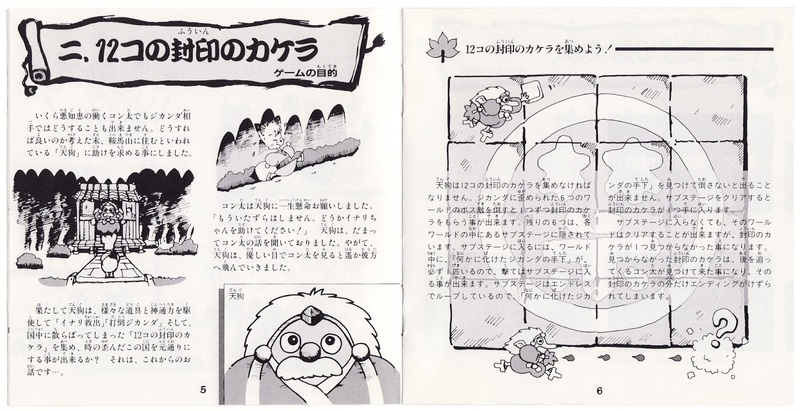 Thankfully, cartoonish illustrations accompany all of those explanations. 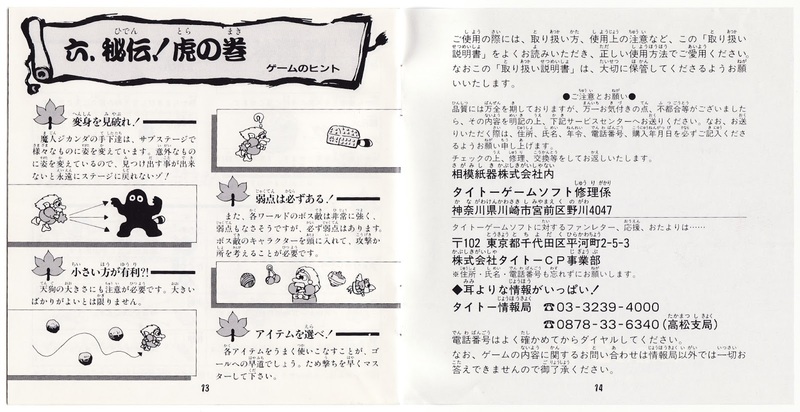 That's great for comic lovers, of course, but it's also great for folks who don't know a lick of Japanese. How so? 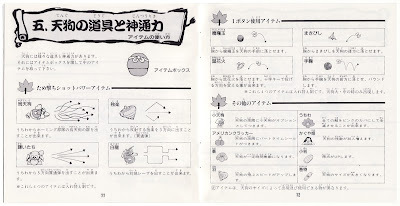 The drawings in question do a surprisingly good job of cluing in all readers--even ones who only understand English, for example--as to how Hana Taaka Daka!? operates. 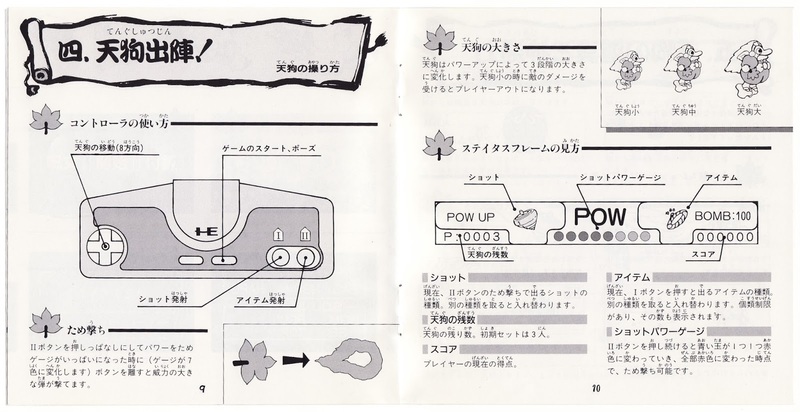 As suggested earlier, this far from the only Taito-designed manual to showcase such art. Want to see a few others? 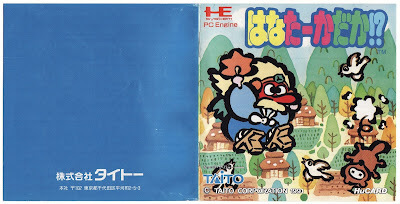 Check out my "Manual Stimulation" posts devoted to the PC Engine ports of Don Doko Don, Mizubaku Daibouken and The New Zealand Story. Also, you can peruse all of the "Manual Stimulation" posts I've published over the years--and, believe me, I've published a ton of them--by clicking here. And if that thrills you? Why not scroll through all of my "Nice Package!" 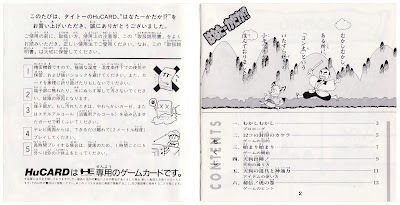 write-ups which, as you probably can guess from that series' title, feature information about and photos of a particular game's packaging (including its outer box or case, its cartridge or disc and its instruction manual).